In my opinion, and many others’ opinions for that matter, Microsoft has a habit of producing a good OS followed by a bad one. For example, Windows 98 was good, Windows 2000/ME was bad, and then XP was brilliant. After that, Vista flopped and was poor; next came Windows 7, which was a big hit, and finally we have Windows 8, which personally I dislike. Never-the-less Microsoft has come leaps and bounds from its first version, Windows 1.01 which was released in November 1985. Windows 1 and 2 were just graphical shells for the MS-DOS operating system, which used keyboard controls only for navigation. Windows 3.x Microsoft integrated mouse control, which, at the time, was a huge gamble. The system was incredibly colorful, compared to previous versions, and could run programs with a simple click. It also included the game Solitaire, which was introduced by Microsoft to get users used to the click and drag function in a fun game. The Program Manager was also introduced for launching programs which became the desktop home screen, seen when you started your PC in Windows mode. Due to there being no right click commands, the most common way to switch between running programs was the Alt+Tab shortcut. People also used the File Manager to manage files and drives. 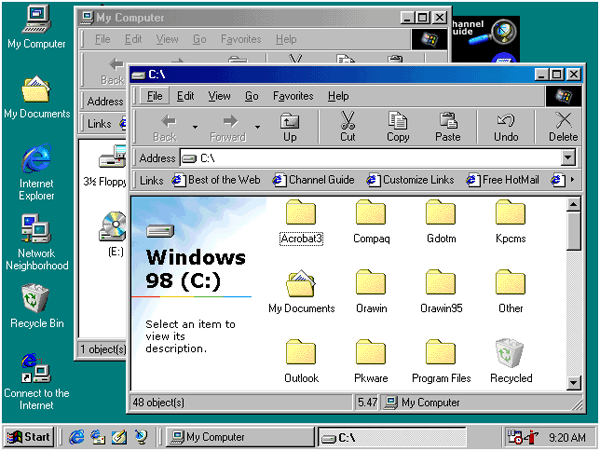 Windows 95 was a key point in Windows history, as it introduced the basic structure of the familiar Windows interface which has been used in all versions since. Windows 98 then came out, which improved the compatibility with different hardware and software, including Internet Explorer, MSN Messenger and Microsoft Office. It was planned for support for Windows 98 to be discontinued in 2004 however, due to the continued popularity of the OS, Microsoft maintained support until July 2006. From October 2003 to November 2003, 27 per cent of Google’s page views were on the Windows 98 system. 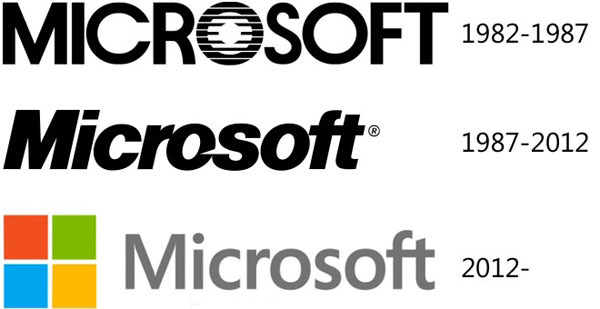 For the millennium Microsoft launched two new products, Windows 2000 and Windows ME. The former was developed for a different sector but all versions had common features such as Microsoft Management Console and system administration applications. It was marketed as the most secure system of its time, yet became susceptible to certain viruses such as Nimda and Code Red. 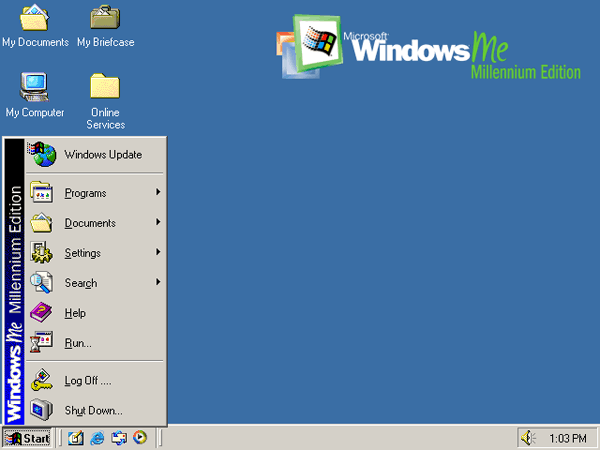 Then came Windows ME, the last operating system in the 9x series and the real successor to Windows 98 SE. This system was targeted to the domestic market, specifically home PC users. It included many applications that are now synonymous with the Microsoft brand, including Media Player 7, Internet Explorer 5.5 and Windows Movie Maker. Windows XP launched in 2001, which is when PCs stopped being a productivity tool and started being a tool for web browsing, email and multimedia. By this time computers were now common and XP had become the user-friendly OS for the mainstream user. Now, music, photos and videos could be stored on PCs, which influenced the design of the XP Start menu which featured an All Programs option instead of the previous hierarchical list. 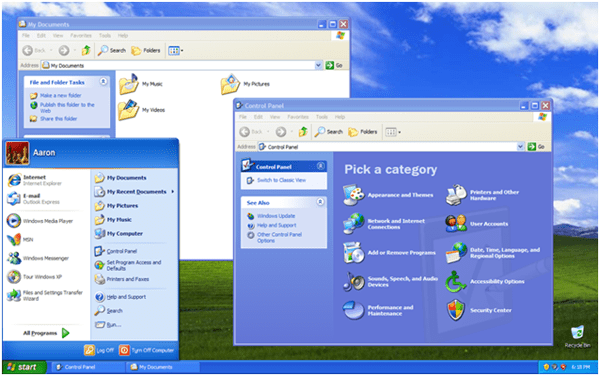 Before, mail, web browsing, pictures and music weren’t available on the start menu, now, with Windows XP, they were fully on show on the right hand side of the start menu for easy access. 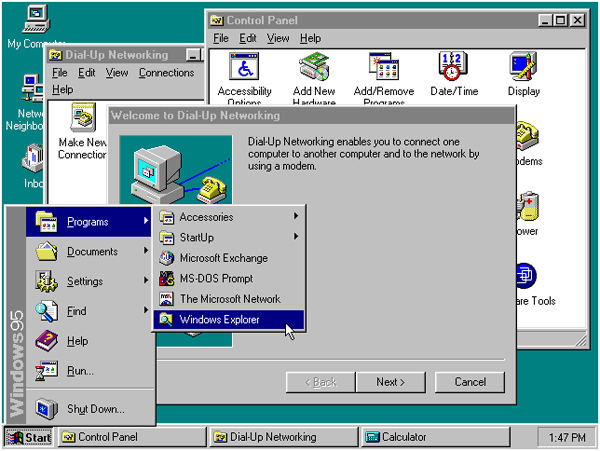 Even though the Windows 9x operating systems offered some sort of personalisation, XP really took that to another level including more customization tools and more colors. Users could now change the ‘Theme’, along with their screensaver, wallpaper and more. 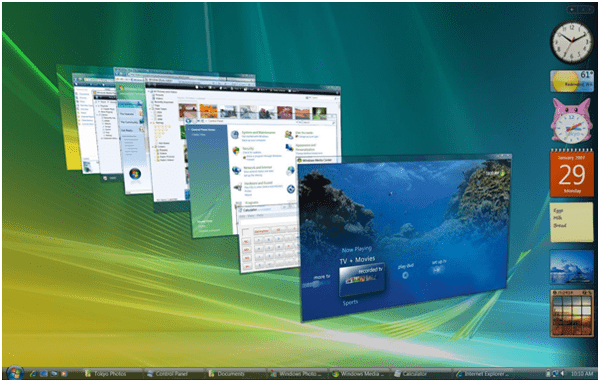 Once again, Windows got another makeover, with see-through style frames and transparent sidebar – Vista was born. The most notable updates were the sidebar, which included customisable gadgets that I’m sure not many people used, minimized pop-up preview views from the new taskbar, live thumbnails and icons, as well as a favorites option. As well as these updates, the iconic Start button was dropped and replaced by a Windows icon. This new start menu now offered instant search as well as clickable access to the old-style Start menu. Aero Flip 3D was also introduced, which was a desktop button that let you quickly preview all open windows by displaying them in a flip-through, three-dimensional stack much to the style of the previous Alt+Tab. 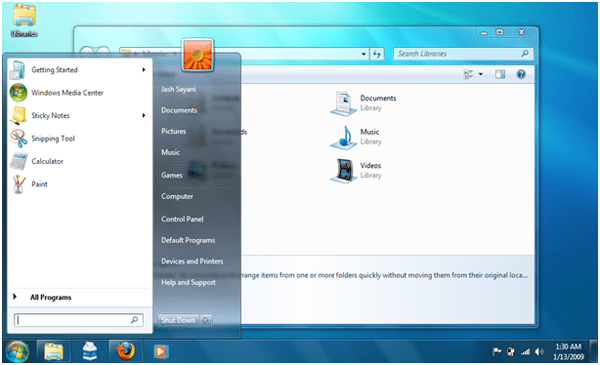 Next, Windows 7 didn’t represent a radical UI update from Vista; however, there were still some notable changes. The obtrusive sidebar was removed and the Aero Flip 3D button disappeared, although you could still use the Aero Flip 3D function by using the Win Key+Tab shortcut. The Show Desktop icon became smaller, in a strip to the right of the taskbar. The taskbar was the icon that took the biggest changes, with the Quick Launch shortcut removed and its successor coming in the form of the ability to ‘pin’ applications to the taskbar for quick access. 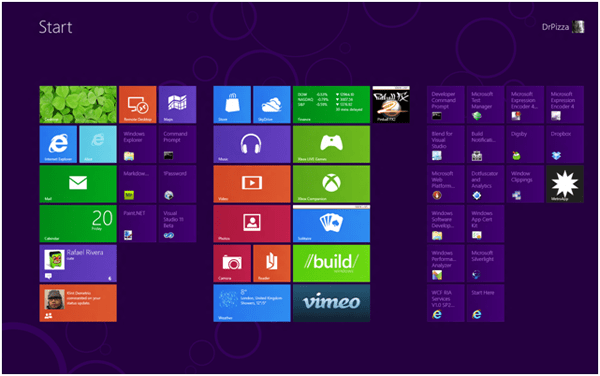 Unfortunately, for the traditional Start menu, it meant that it was cluttered by programs that were used less. Along with the pin ability, the taskbar also got ‘Jump Lists’, which is where you right-click an icon to be offered a list of shortcuts, depending on the software. For example, with Mozilla Firefox, if you right-clicked the icon you would be presented with the ability to go to recently viewed websites. Along with this, Windows 7 was able to support a touch screen, which was a big step up for Microsoft’s Windows series as the Windows UI was always designed around a mouse and keyboard previously. Windows 8 was then released and took a huge turn towards tablet computing and touchscreen devices, something way off of Microsoft’s original mouse and keyboard ethos. The new ‘Metro’ interface offers a tile-based Start screen similar to that of the Windows Phone OS, which, incidentally, flopped compared to Android and iOS. The start screen now ditched the start button completely and replaced it with a start screen that featured tiles which link to apps and desktop programs which will offer live, animated, constantly updated information so you can quickly glance at your inbox, latest tweets, weather information, traffic data and much more. Something that was only previously available through programs such as Rainmeter – you can access the vertical toolbar by swiping or mousing over the right edge of the screen. Swiping the bottom edge pulls up a menu bar, while swiping the left side lets you switch between active apps and your desktop. In my opinion, Windows 7 is the best Windows operating system on the market at the moment, as I see Windows 8 only viable when used with a tablet or phone and not on a PC. 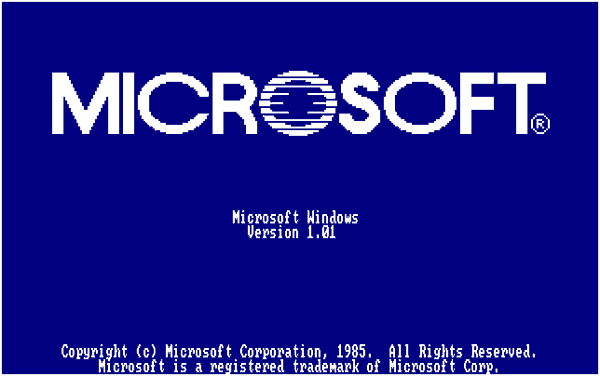 Windows has still come a long way since Windows 1.01, when you had to type ‘win’ at the DOS prompt to run Windows. Unless Windows 9 is absolutely amazing and doesn’t focus on tablet computing, I doubt Microsoft will still be able to stay in the competitive computing industry. This blog was written by Adam Stevens, a computing fanatic, on behalf of IT Rentals, an IT equipment provider.